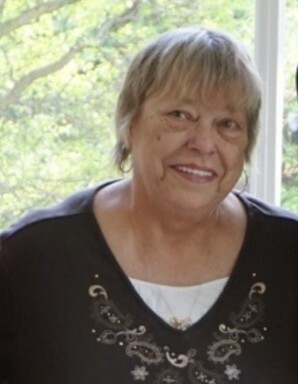 Patricia Ann Rogers (nee Aniolowski), 73, of Wheeling, passed away Sunday, February 10, 2019. She was born April 29, 1945 in Chicago, the daughter of the late Henry P. and Helen (nee Papierski) Aniolowski. Pat was a devoted mother and grandmother. Her favorite hobby was baking and her holiday treats will be missed by her family and friends. Pat is survived by her son, Scott (Jacqueline) Rogers of Barrington; her grandchildren, Lauren and Eric Rogers; brothers, Fredrick (Antionette) and Timothy (Therese) Aniolowski; and her sisters-in-law, Diane and JoAnn Aniolowski. In addition to her parents, she was preceded in death by her brothers, Kenneth and Terrence Aniolowski. Visitation for Pat will be held Wednesday, February 20, from 9:30 a.m. until the time of the memorial service at 12 Noon at Davenport Family Funeral Home and Crematory, 149 W Main St. (Lake-Cook Rd) Barrington.